Start the walk from Town Green foreshore in Port Macquarie, winding along the coast via Town Beach, Rocky Beach lookout, Nobby’s Beach and Harry's lookout overlooking Shelly Beach and on to Sea Acres. 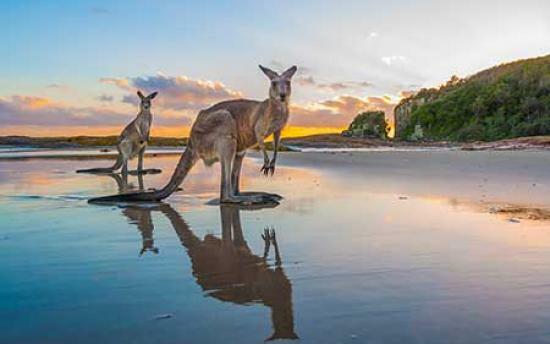 You’ll see several historical sites along the way and enjoy stunning seaside scenery that surrounds Port Macquarie. Between May and November, you might spot a whale or two on their annual migration; don't forget to record your sighting. The south end of the walk is one of the few places on the east coast where the forest meets the foam. The walk ends at Tacking Point lighthouse; however you can break it up into shorter sections if you feel like a short walk or are walking with kids. There are opportunities for barbecues and swimming along the way, including at Shelly Beach and a beachside café at Flynn’s Beach. 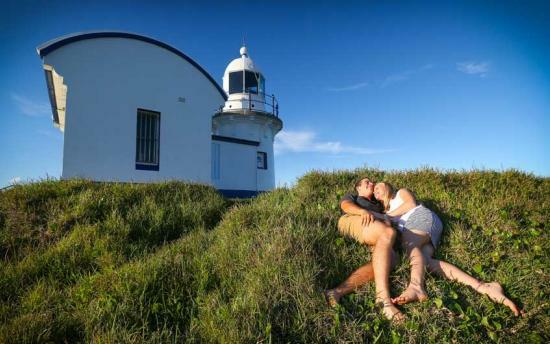 You can reverse the walk at Tacking Point Lighthouse and head into Port Macquarie. The walk is nine kilometres long (one way) where you will walk on beaches, there are multiple sections with stairs and viewing platforms . Reasonable fitness is needed to complete the walk. There are sections suitable for leisure strolls. This listing was updated on 26/03/2019 by NPWS. Port Macquarie-Hastings Council accepts no liability for inaccuracies or errors in the above listing.